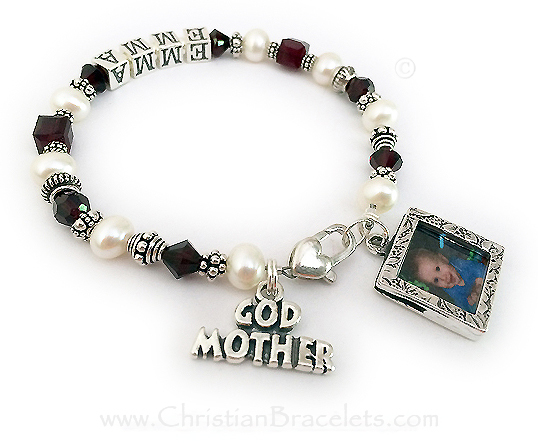 We have lots of beautiful Godmother Bracelets shown below. 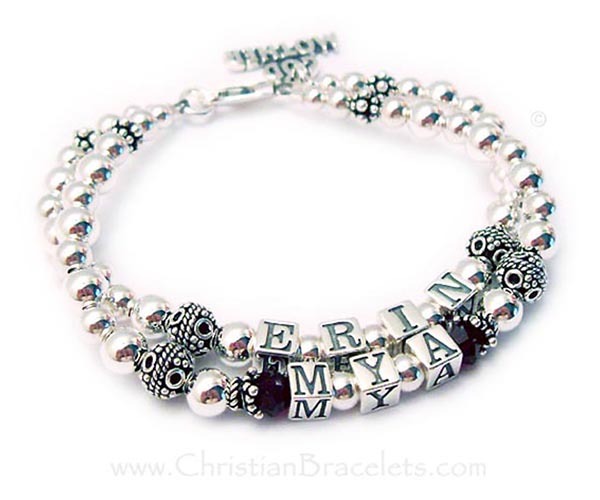 You can add the Godchild's name on most of these bracelets. 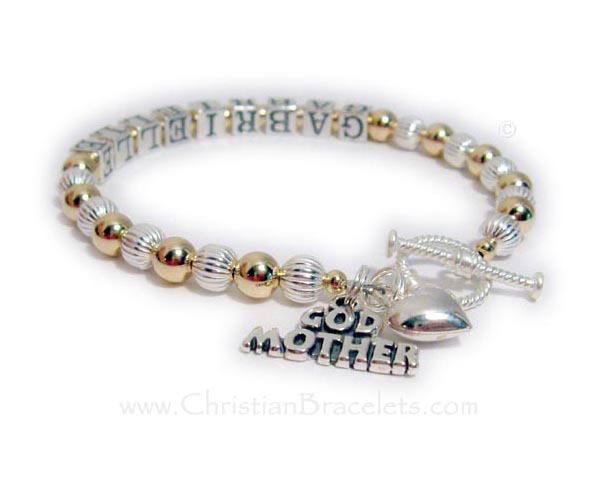 Some of the Godmother bracelets shown below come with a Godmother charm. 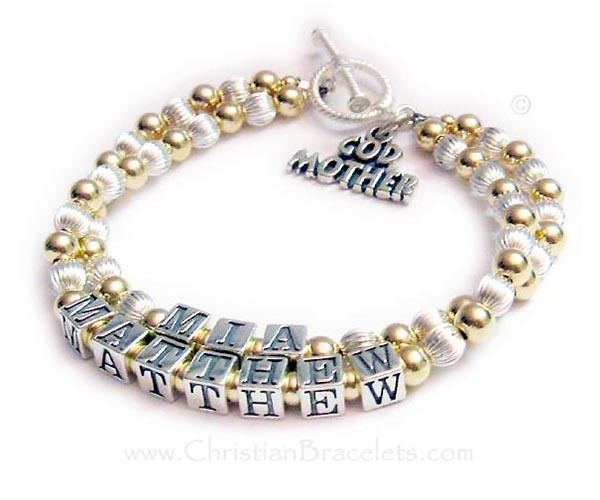 You can put the God daughter or God son's name on each string or leave the string blank with just the pretty decorative beads and add the Godmother charm. I also carry picture frame charms. Most of my picture frame charms can hold 2 pictures (front and back). 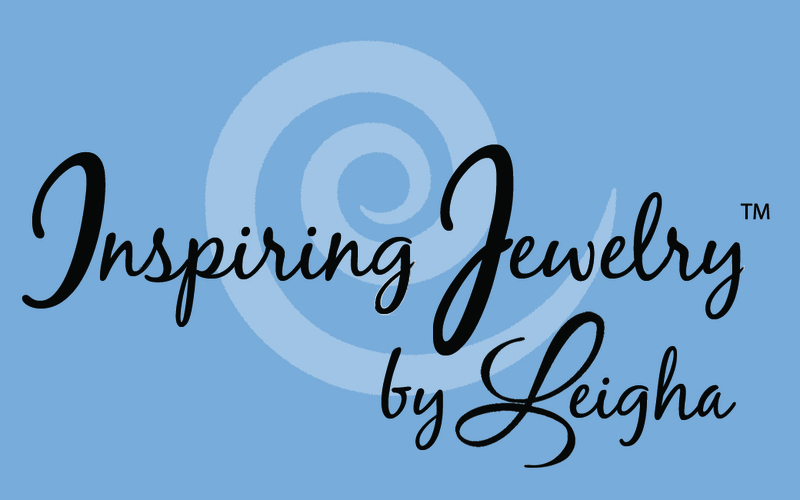 All of these designs can be made into 2 string bracelets. Here are 2 examples. You can put the Godmother's name on one string and the Godchild's name on the other string.